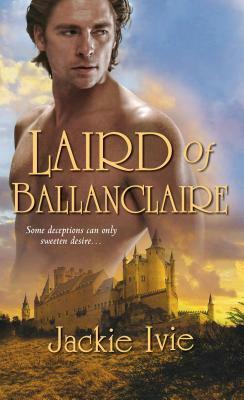 Kameron Ballan, heir to the Laird of Ballanclaire, has no respect for his father's titles and treaties. They've gotten him naught but trouble--and a betrothal to a sickly Spanish princess. So when his latest peccadillo gets him transported to America to subdue the restless colonies, he's ready to prove his worth as a man, not a figurehead. Constant Ridgely, seventh daughter of an upright patriot family, discovers Kam beaten senseless by a crowd of colonists. She must hide him or watch him die, but the strange, brawny Scotsman inflames passions she's never guessed at. . . Under Constant's ministrations, Kam discovers a lovely, innocent woman whose hands stir his desires. But much is at stake and there is much to lose, and their happiness depends on a risk so great only the truly lost would dare. . .
Jackie Ivie is a native of Utah and attended the University of Utah on a full scholarship in Fine Art. She relocated to Wyoming for several years before moving to Anchorage, Alaska, where she lives with her husband and their four children and manages a division of a large service company. In her “spare time” between being a mom, a wife, and a businesswoman, Jackie can usually be found at her word processor, totally absorbed in another century while glancing occasionally at the magnificent snow-capped mountain views through her windows.